Visit Biscuiteers, known as one of the most 'instagrammable' and recognisable shop fronts in London and the producer of the most beautiful and delicious biscuit tins. Pop into either their Northcote Road or Notting Hill branch for their DIY icing workshops - each child gets a selection of biscuits to decorate to their hearts content, and of course you can take your creations home once you're done! Visit any of London's many museums to fill an afternoon for free! 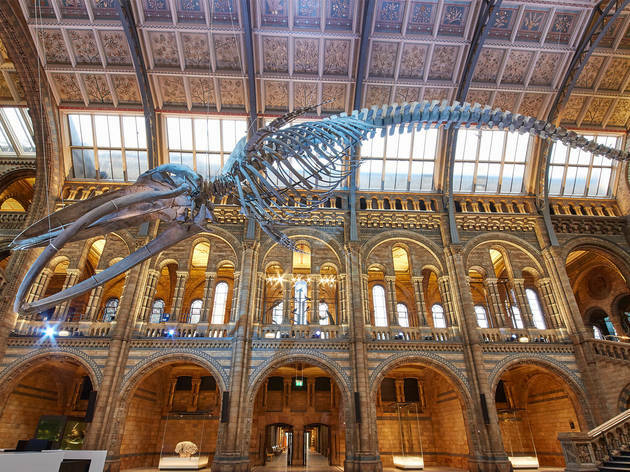 Our favourites to go to with kids are The Natural History Museum (make sure you check out the earthquake simulator room) and The V & A Museum of Childhood, where they're always organising fun activities and events. Why not take an (indoor) picnic along too for a faff free lunchtime, perfect whatever the weather! Get creative with a paint-your-own pottery session at Art-4-Fun in West Hampstead. This cute studio has such a wide range of different items to paint, and once you've paid your studio fee of £6, you just pay for the items you paint, then a week later you come back and collect your *ahem* masterpieces! Plus for the tired adults it's also BYOB, so why not bring a bottle of bubbles too! Do your children bounce around the house when not at school?! Why not let them channel their inner Tigger and book into a session at Flip Out, with locations in Wandsworth and near the Olympic park, there's no excuse not to let your kids flip out! Lucy loves taking her kids to Flip Out as a perfect rainy day treat. She recommends booking after 3pm as it will really tire your kids out and under no circumstance let them near the slush puppy machine! Take a few other Mums with you so you can have a good gossip, as your kids bounce to their hearts content. Cycling (or more likely scooting!) round Battersea Park. Why not grab the family, your bikes or scooters and hit what we think is one of London's most beautiful parks. Once you're done, why not treat yourself to some tea and cake at Pear Tree Cafe next to the lake, whilst doing some inevitable dog spotting! How will you be spending your half-term break? Do let us know, as we'd love to hear how you all enjoy this amazing city with your little ones!